Pygott and Crone and Envvy Brave the Shave for Macmillan - Pygott & Crone - Houses. Homes. Harmony. Pygott and Crone’s team have Braved the Shave for Macmillan Cancer Support as part of their continued support for the charity. This event will take the company’s total funds raised to over £20,000 since starting working with the charity. The charity is one of many that our company and staff support, we raise money for Macmillan because many of us have experienced the unbelievable support they give to families at a very difficult time. Being a reasonably large company and having a large local client base we are always hearing of times when this charities support is needed. We are never surprised by the generosity of our teams, friends, clients and suppliers whenever we are fundraising for our local communities. 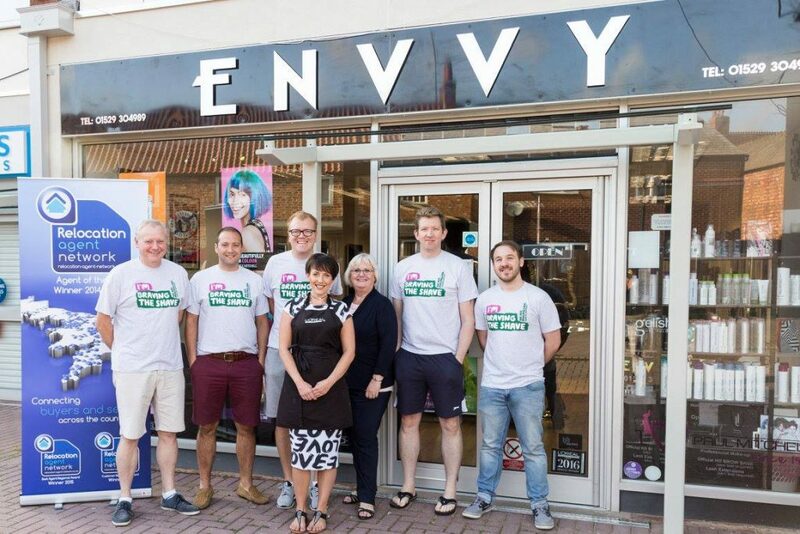 The event took place on Friday 18th August with Kelly Cowell from Envvy hairdressers providing everyone taking part with the required shave. Joining me in Braving the Shave were fellow director Ian Pygott, branch managers Jason Sedlan and Jamie Aspland, IT manager Gary Wand and customer service advisor Thomas Osborne. We raised over £2,300 for the Charity. Pictured before the shave (L to R): myself, Jason, Jamie, Kelly, Margaret Whitton (Sleaford branch), Gary and Thomas. And pictured after the shave (L to R): Ian, Jason, myself, Jamie, Thomas and Gary.